Delbert McClinton is impossible to conveniently classify. He's country, he's soul, he's blues, he's rock and roll. The singer/harpist is the ultimate embodiment of the musical melting pot that is the Lone Star state of Texas. 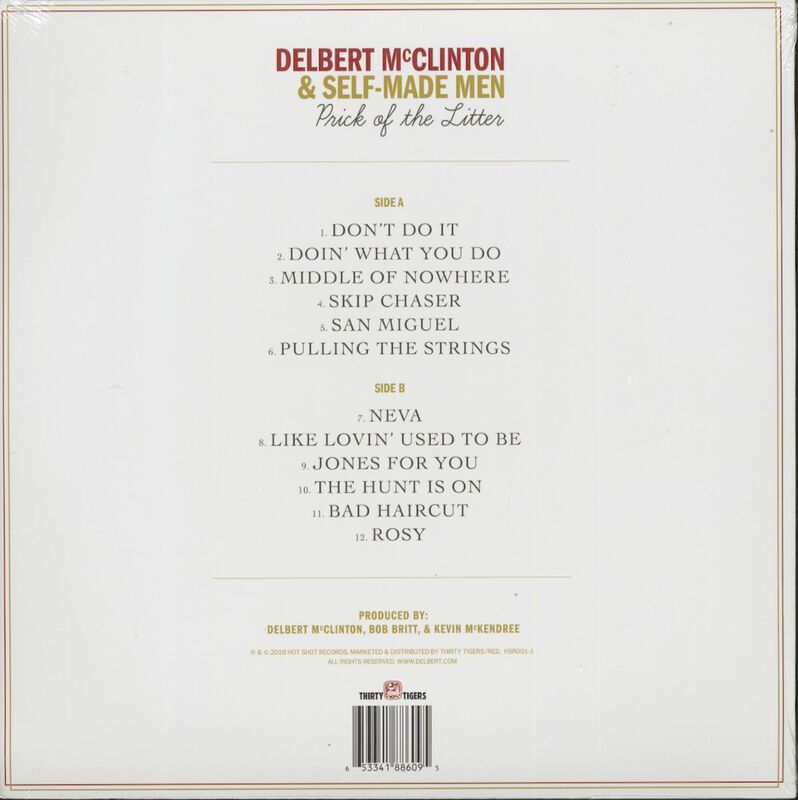 "For lack of a better term, I just sometimes call it ‘Delbert music,'" says McClinton. Born November 4, 1940 in Lubbock (Buddy Holly's hometown), Delbert and his family relocated to Fort Worth when he was 11. "I grew up in West Texas, listening to Bob Wills and Lefty Frizzell," he says. "I got into music in Fort Worth in the early and mid-‘50s, which was the time I started playing music." Delbert made his public debut in 1957. Before long he assembled his first band, the Mellow Fellows, who morphed into the Straitjackets in 1959 or '60. McClinton developed a blues-soaked harp style to accompany his vocals. "I got real turned on to the Jimmy Reed style of harmonica, and Sonny Boy's style," says Delbert, who backed a lot of his blues heroes at the Skyliner Ballroom despite being young and white. "We had about the best band around at that time," he says. "So every weekend, we'd be working with Jimmy Reed, Joe Turner, B.B. King, Bobby Bland, Junior Parker, Buster Brown, Sonny Boy Williamson, Howlin' Wolf." Meat salesman and Fort Worth label owner Major Bill Smith produced the 1960 debut single by ‘Mac Clinton And Straitjackets' for his Le Cam label, a cover of Sonny Boy's Wake Up Baby. "Oh, he was just there," says Delbert. "Right time, right place is the Major." McClinton's reputation as a harpist grew exponentially when he played on Bruce Channel's '62 pop chart-topper Hey! Baby, a Le Cam release picked up nationally by Smash. "Major Bill asked me to get the guys together for a session," says McClinton. "The night we did ‘Hey! Baby,' it was just one of those nights where something magic happened." When Channel toured England, Delbert joined him and gave a few pointers to John Lennon. "John wanted to learn how to play harmonica," he says. "So for those few days that we were together, we got pretty tight." Major Bill's Brownfield logo released If You Really Want Me To, I'll Go by Delbert's band the Ron-Dels, a minor pop hit in 1965 after Smash acquired it for release. The Ron-Dels persisted into 1967 before throwing in the towel. Delbert split for Los Angeles in ‘70. He teamed with Glen Clark to cut a pair of LPs as Delbert & Glen for the Clean label before returning to Fort Worth, McClinton signed with ABC Records and released a series of mid-‘70s solo albums that skirted any and all idiomatic boundaries. His rollicking rendition of Bo Diddley's no-nonsense grinder Before You Accuse Me hails from Delbert's 1976 ABC set ‘Genuine Cowhide,' cut in Nashville with a band as eclectic as McClinton: Reggie Young, John Lee Christopher, and producer Chip Young on guitars, keyboardists Bobby Emmons and Bobby Wood, bassist Mike Leech, drummer Ken Buttrey, and a four-piece horn section. McClinton finally crashed the bigtime in 1980 with his Capitol LP‘The Jealous Kind,' boasting the smash Giving It Up For Your Love. 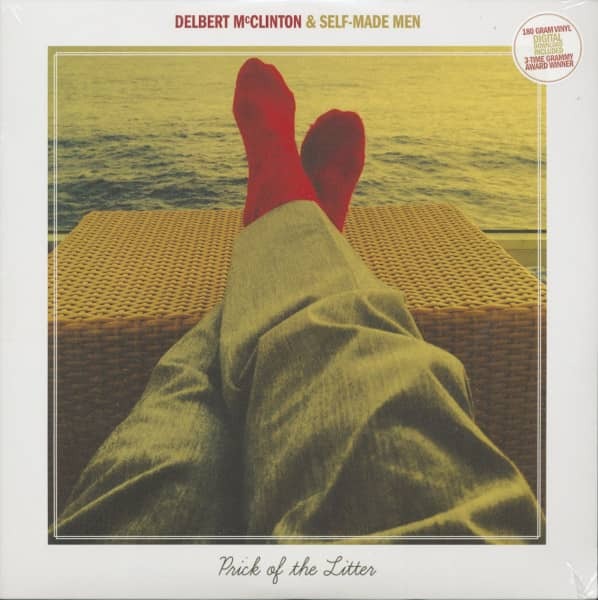 Three decades and a lot of albums later, Delbert McClinton still makes it tough on record store managers. "There's not much I can do about it," he says defiantly. "I can't tell ‘em what to call it!" Customer evaluation for "Prick Of The Litter (LP, 180g Vinyl )"